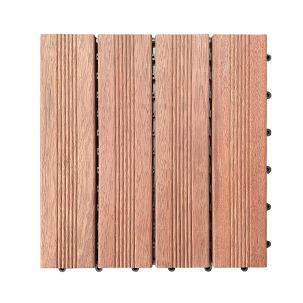 An innovative and versatile solution to your outdoor decking needs. A hassle-free outdoor deck that you can build and enjoy today. Ideal for rejuvenating an old balcony. Suitable for both the DIY homeowner and the professional builder. 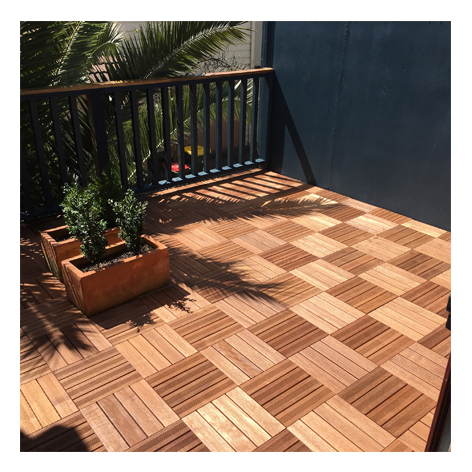 Simply snap together the interlocking Deck Tiles. No nails or glue required. 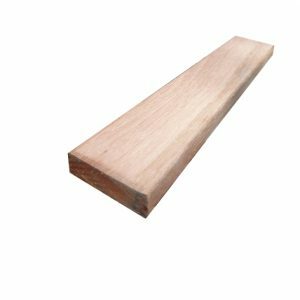 Made from strong and durable certified tropical hardwood. 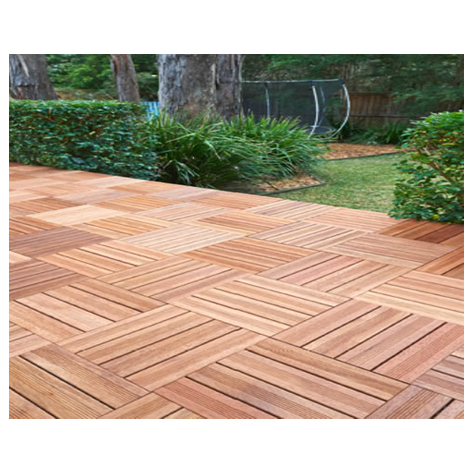 Merbau Decking Tiles should be laid over a solid hard & dry surface that is well drained (eg. Concrete). The surface should be level to ensure that the tiles engage correctly. Tiles are engaged by interlocking fasteners on the tile edges. 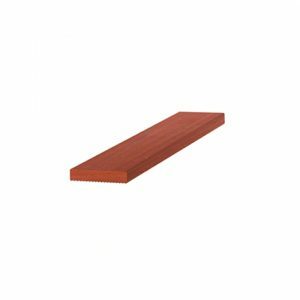 Tiles can be laid in either a straight or parquetry pattern to suit the application. Tiles can be easily cut using a hand or electric saw. When cutting ensure that suitable gloves, glasses and ear protection are used. When tiling direct to a solid wall an expansion gap of 5mm should be left to allow for possible movement. If the timber is left exposed to the weather without treatment, it will change to a silver-grey colour over time. 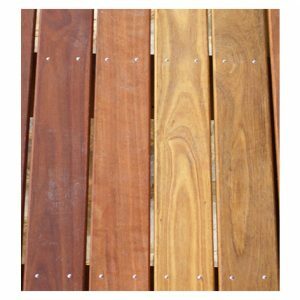 All Merbau products, if left exposed to wet weather, may bleed tanin. 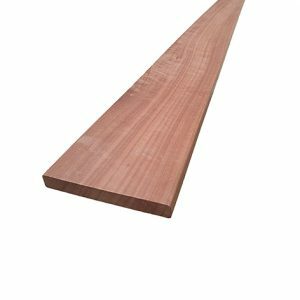 To reduce this, the timber should be treated with a suitable coating as soon as possible either before or after installation.